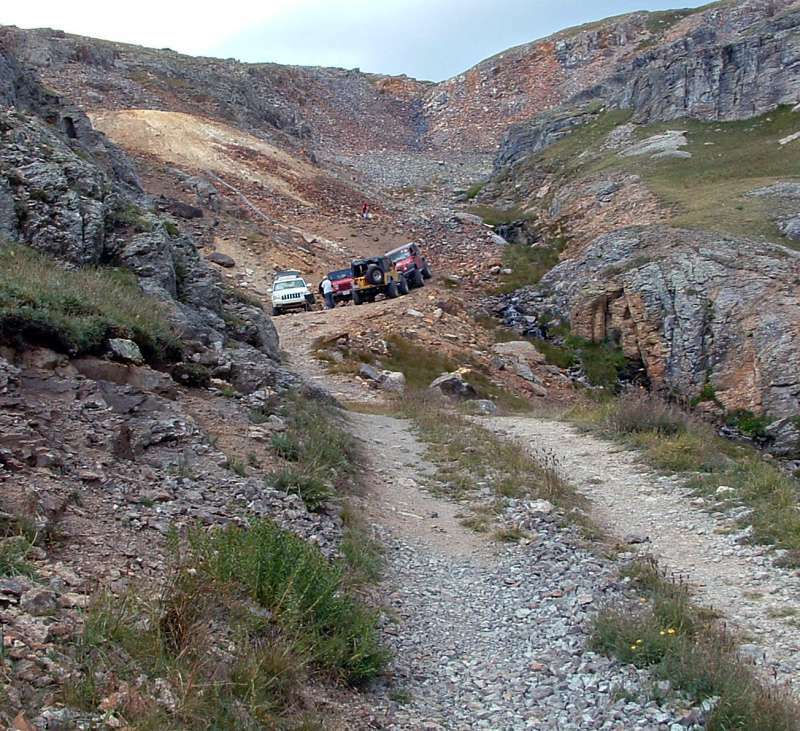 The Bullion King Gold Mine, Alpine Waterfall and some Rock-hounding. The Bullion King Gold Mine! You know when you are getting close to the Rock-hounding area because this spectacular Alpine Waterfall will be visible on your left. According to Goggle Maps the lake we are going to soon explore is Porphyry Lake, whose drainage produces this waterfall. So this could be Porphyry Falls, yet there is another waterfall past the Gold Mine, so maybe this is the Bullion King Waterfall, or maybe this is Agnes, named after my wife’s grandmother. Whatever the name it is a pretty special waterfall! Just to the right of the waterfall is a little sort of cave. If you feel the need you can hike to that spot and you will notice that this was the site of some sort of hydroelectric plant. I always thought this would make a great spot to place a Geo-cache, but maybe next summer. Rock-hounding around the Gold Mine! Rock-hounding around the Bullion King Gold Mine. I keep referring to the Bullion King as a Gold Mine, honestly I have never run across any information on this particular mine, but it sounds like the name for a gold mine, don’t you think? Please comment if you have any more info about the Bullion King Mine, THANKS. You will notice a road turning to the right just before you get to the Mine’s Dump Pile. Take this right and when it turns back to the left, is a good spot to park and turn around as this 4×4 trail will dead end here soon and this is very close to the Rock-hounding spot. But now walk up this road and the rock samples should be easy to find. 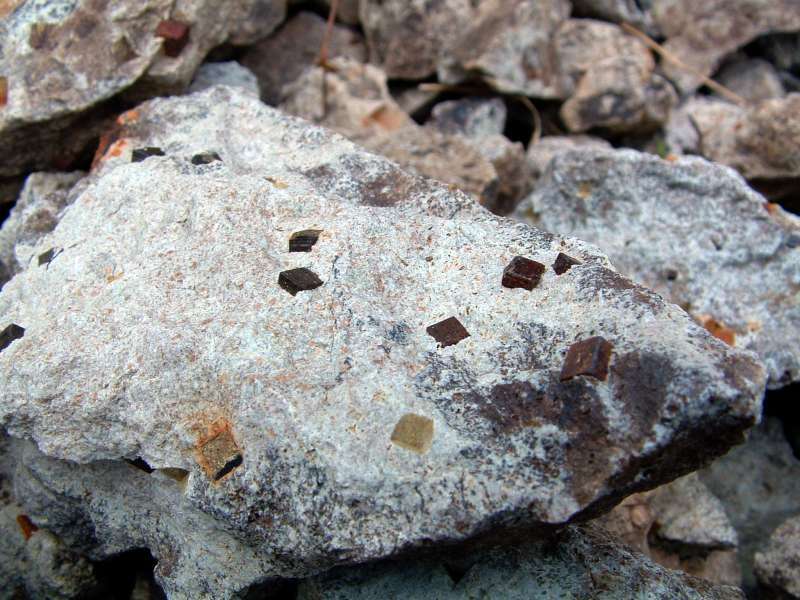 What you are looking for are little Rusty Cubes, they are officially known as Pseudomorphs of Limonite after Pyrite. 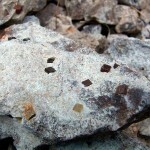 They’re Pyrite with a reddish brown coating of Limonite and are found in a grey matrix. Or, as I said, Rusty Cubes. If you pick carefully, and as I often do use my Leatherman Tool to carefully pull them loose, you can remove them from the matrix and on occasion you can find them close to the size of dice. 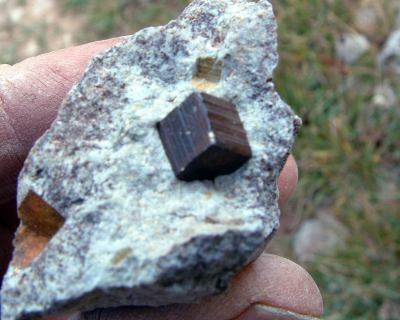 If you scrape the rust (coating of Limonite) off you will see the sparkle of what appears to be gold, Fool’s Gold, as this is just a form of Iron Pyrite. So what I always thought would be a fun thing to do is collect some as large as dice, then very carefully with a drill bit, drill the dots on the faces of the Rock-hounded Cubes and make one-of-a-kind Alpine Dice from the San Juan Mountains of South Western Colorado! Go Rock-hounding up this 4×4 trail. 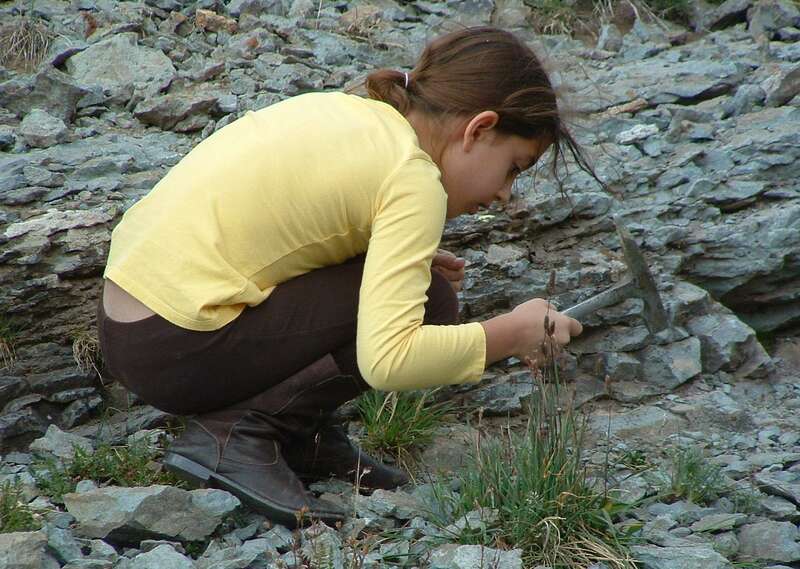 Rock-hounding for Pseudomorphs of Limonite after Pyrite! 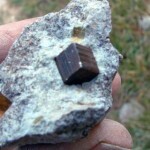 Rock-hounding for Little Rusty Cubes with Fools Gold on the inside! The 4×4 adventure continues here! Now that the Rock-hounding is done lets go find the Alpine Lake, what do you say? Hard at Rock-hounding in the San Juan Mountains of South Western Colorado! Up-Date: the powers that be have stopped the road at the Mine Portal and compleatly filled in the Portal, looks real ugly now in my humble opinion. Let me know what you think on Alpine Paradises Facebook Page, Thanks!